1. What goal do you seek to achieve by starting a blog? It is that you want to spread some information, promote an objective, make some money or do a little bit of all these. 2. Which blogging platform are you going to use? 3. What type of hosting are you planning to use – free or paid? 4. Are you planning to buy a top level domain (TLD) for your blog? If not you can use a free sub domain. Your choice of a blogging platform will also depend upon this factor. 5. What topics will your blog cater to? 6. What is your level of expertise on the topics you are planning to write about? 7. Who are your target audience? 8. How much time are you planning to devote to blogging? 9. Have you decided on a name for your blog? 10. Have you found a fast loading, modern template for your blog? 11. How good is your command over the language in which you propose to blog? 12. Are you aware of the basics of HTML? 13. How knowledgeable are you about SEO (Search Engine Optimisation) techniques? 14. Are you aware of the difference between NoFollow and DoFollow links? If yes, do you propose to make your blog DoFollow? 15. Are you aware of the various link building techniques that can help you rank well in search engines? 16. Are you aware of the fact that lifting content from other blogs may lead to a loss in search engines rankings? 17. Are you aware that a slow loading blog can irritate both visitors and search engines. 18. Do you propose to use advertisement on your blog? If yes are you going to promote your own or third party products? 19. Do you realize that most advertising networks (of any repute) have a minimum traffic and content requirement? 20. Which are the best performing blogs in your niche? 21. What is the level of competition in your chosen niche? 22. How do you propose to compete with the other blogs in your niche? 23. 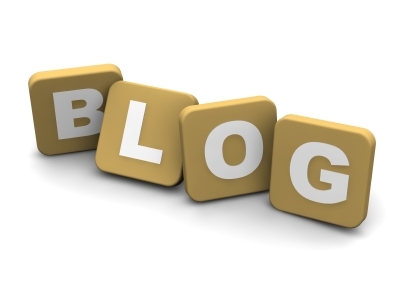 Are you aware of the benefits of guest-blogging? 24. Are you aware of the fact that you can promote your blog on social media sites like facebook, twitter and pinterest? 25. If you already have a social media following, how do you propose to promote your blog among your followers? If not, how do you expect to slowly build a following? 26. Are you aware that incorporating social media sharing buttons are a must for any blog? 27. Are you aware that it takes a lot of hard work to achieve success in blogging? You cannot have a rich flow of traffic from day one. 28. Do you know you can track visits to your blog by using tools like “Google Analytics”? 29. Do you realize that in order to have a steady flow of traffic, you would have to update your site regularly? 30. Do you realize that it is the quality of content you host on your blog that decides whether you would succeed or fail in your blogging Endeavour? 31. Do you realize that blogging cannot make you rich overnight? There is money to be made from blogging, but everything takes time. 32. Do you endorse this mantra: the more you blog, the more you learn? 33. Finally do you know that a lot of bloggers have give up lucrative jobs in order to pursue blogging as a full time career option?